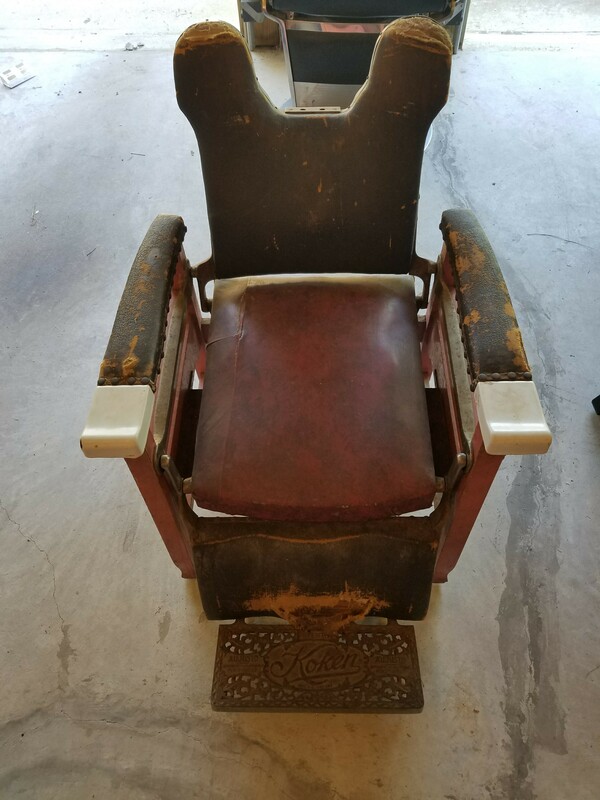 Vintage Koken Barber/Stylist Chair with Aujusto Foot Rest. Chair is still very sturdy. 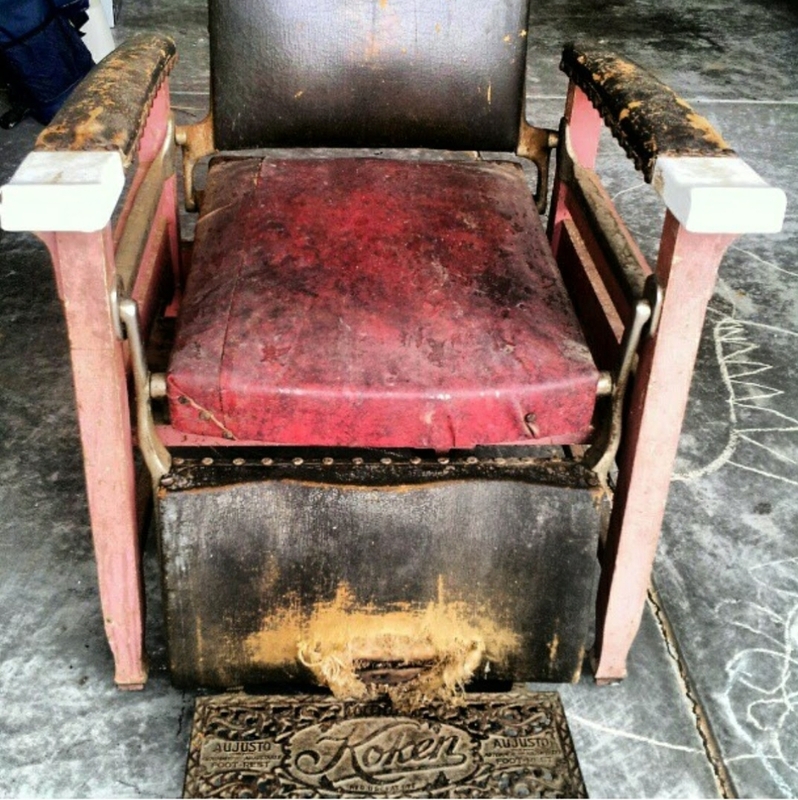 Original upholstery needs a little TLC. 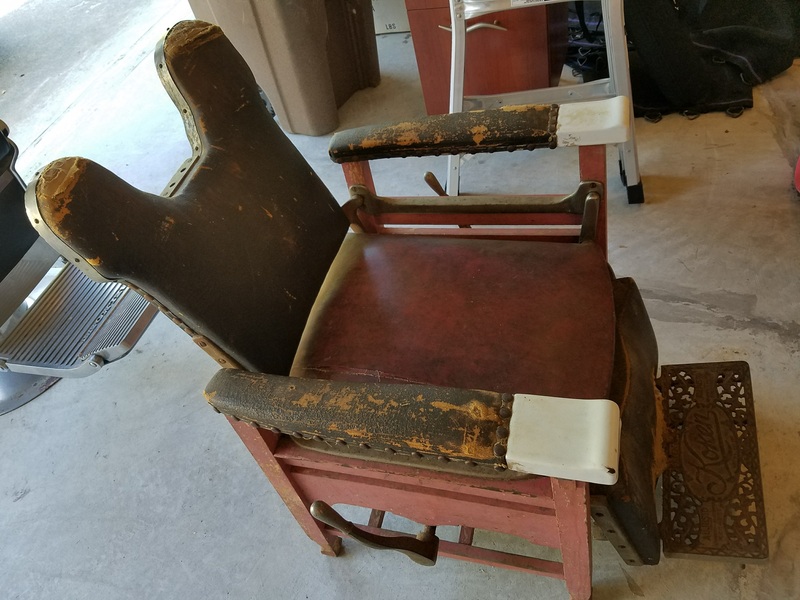 In 1900, Ernest Koken was a German immigrant, he created a hydraulic-operated chair and also patented the side lever, which allowed the barber to control all the mechanical functions of the chair. This is evident on your piece and pretty cool. Est Value: $350 - $550 US in current condition. 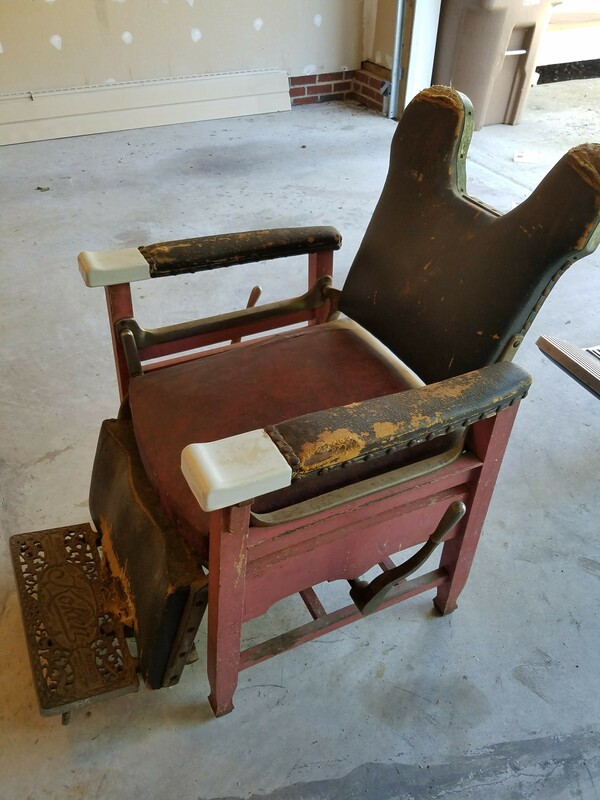 I would have it professionally restored and it could increase its value to $1000 - $1250 US ... In its current condition I would recommend $600- $750 on your house contents insurance.